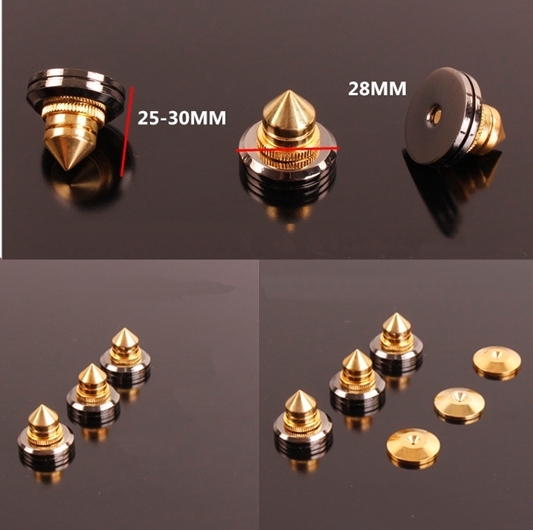 These spikes are widely used in speakers, subwoofer, amplifiers, CD players and other audio equipment as shock absorber, you can reduce the vibration of audio equipment to improve the sound output. It is an essential tool for audio enthusiasts, low cost but the audio improvement effect is significant. 2. Height can be adjusted between minimum 25mm to maximum height of 30mm (5mm adjustment range and can be locked, mainly used to adjust the balance). 3. Bottom spikes are made from pure copper plated with 24k gold and top plate are made from pure copper plated with Nickel giving beautiful two tone luxury color. 4. 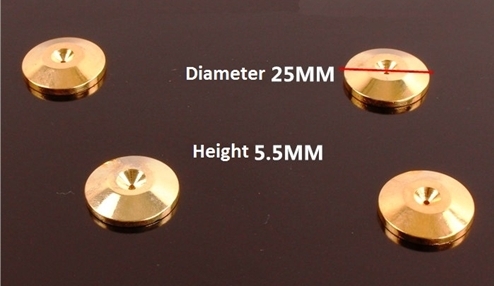 Pads/Footers are made from pure copper plated with 24K gold, Diameter 25mm, thickness 5mm. 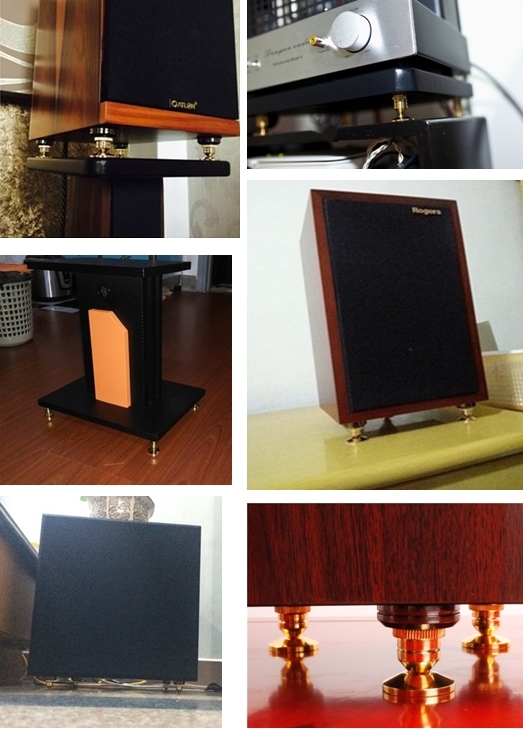 All parts of exquisite workmanship, luxury beautiful! Shock-class effect. Hurry Limited Set available !!! While stock last. Weekend (Sat-Sun) : By special appointment.